Are You a Spiritual Seeker with a Deep Longing for Lasting Inner Peace and Joy? You can access greater passion, clarity, and freedom than you’ve ever known. Whether you’re a seasoned meditator or you’ve never meditated before - you’re about to discover the secret to deeper, more profound oneness than you’ve known was possible. In this course, modern Enlightenment & Meditation experts Chanan (Brian Marc Zimberg) and Joey Lott teach you how to connect to true meditation in every moment of your life - not just when sitting with eyes closed or with headphones on. In fact, you’ll learn how all the stresses of your modern life can actually take you deeper into spiritual connectedness. You’ll be surprised at how quickly you can achieve the peace of Zen masters and tap into creativity and joy. How can this be? Isn’t Awakening & meditation supposed to be hard? Most forms of meditation haven’t been updated for thousands of years. They aren’t designed for your modern life - with your busy schedule and the stresses of living today. "If you’ve had trouble with awakening & meditation in the past - if you haven’t achieved lasting inner peace and freedom in every moment - Access Points: The Modern Life Meditation Plan is for you." We have distilled the essence of Self-Inquiry, Zen, Tao, & true meditation and made it incredibly accessible. More than that, we’ve discovered the next step in the evolution of spiritual development. Awakening used to take lifetimes (if a person was lucky). With this new system, people can Awaken to Oneness & live an Awake Life of freedom & inner-peace within just DAYS. Unprecedented DAILY support from TWO awakened teachers - No longer do you have to wait for weeks or months to go on retreat or attend a meeting. With Access Points you receive daily access to two mentors who are living fully Awake and who have guided many others just like you to wake up and live fully Awake. A simple process that is done IN LIFE. Unlike the old ways of going on retreat, sitting with eyes closed for 30 minutes to 1 hour a day, doing complicated, time-consuming practices that only give BAND AID temporary experiences, Access Points allows you to effortlessly access Oneness at any time, anywhere, no matter what is happening. In this way, life becomes a living meditation rather than you having to DO meditation. A process that actually WORKS over and over again. The old ways - the old spiritual practices, meditation techniques, etc. - don't work reliably. They offer temporary experiences that fade away. Access Points works every time in YOUR DAILY LIFE. In any moment, no matter what is happening, you will know exactly how to access Clarity and Inner Peace. You’ve read book after book, you’ve done yoga, you’ve tried meditation, and countless other things. But at the end of it all, you still feel disconnected from Spirit, from Love itself. You’ve had realizations, epiphanies, and moments of bliss. But still the suffering returns. Emotions still overcome you - sadness, deep depression, fear, anger, and a sense of unworthiness. 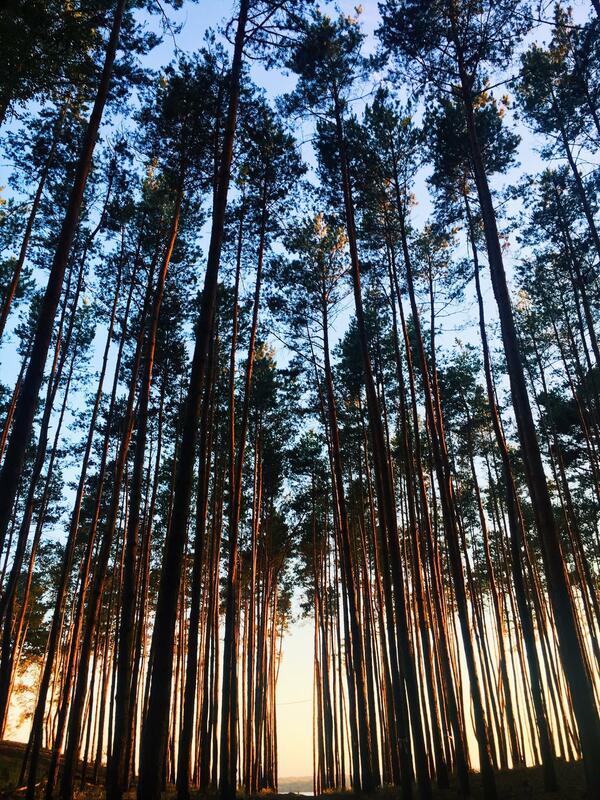 You long for true and lasting oneness. And you may even wonder if it’s even possible for you. You don’t have to struggle in that way any longer. There is another way - a true and lasting Awakening to Oneness. Very few people know about this other way, which is why nobody ever showed you. You can wake up to your True-OneSelf moment to moment. And the key is in learning how to look in the right direction and receiving expert guidance and support along the journey of Self Realization. All suffering and unhappiness is the result of identification with mind. "Suffering is having your attention stuck in your mind. This causes you to feel separate, which leads to every problem that you experience." In the past, the path to awakening was long and difficult. But because of this breakthrough in the Awakening Process - Access Points - the answer turns out to be much easier than any of us thought. We don’t have to meditate in a cave for 30 years. We don’t have to live in an ashram. We don’t even have to sit with eyes closed. “Shift out of your mind” and connect with true spiritual oneness - what we call your True-OneSelf. What Meditation really is shifting your attention out of your mind… No need to stop thoughts - no reason to get RID of the ego. Moreover, we have developed a powerful framework & processes for awakening plus five extraordinarily easy-to-do Modern meditations - Access Points - that allow you to connect with your True-OneSelf in an instant. These modern meditations are incredibly simple yet profoundly powerful. You don’t need to sit quietly for long periods of time. No need to try to be in the Now. You can do these processes anytime and anywhere. In fact, you will find that by using Access Points in the midst of your modern life - while working, preparing food, having a conversation, driving, or anything else - you will quickly connect deeply with spiritual oneness. And best of all, the benefits will be lasting. At 18 years old, when most of his peers were partying, Chanan was fighting for his sanity and his life. In the depths of that hell, he had first transcendental experience, knowing beyond a doubt that the truth of life is love and connectedness. This experience changed his life, and put him on an intense path of spiritual seeking. This led to decades of meditation, yoga, personal development, countless books and workshops, and seeking. There were lots of ups. But there were also lots of downs as the bedrock of suffering always returned. Chanan felt the pain of spiritual seeking. Even though he experienced bliss, he knew there were still threads of identification that kept him suffering. He knew he needed to let go more, but he didn’t know how. Brian was invited to sit still in meditation and no longer follow a technique to get to peace or bliss. In this sitting he had a profound realization of the Tao - or the totality of all. This opening lead Chanan to receive an invitation to Ramana Maharshi’s self-inquiry. He realized that he literally didn’t need to believe his mind at all. This was a radical shift from seeking to being found - direct moment-to-moment realization and a piercing clarity of Oneness & living an Awake Life. Chanan , with his mentor Gangaji’s blessings, spent the next 4 years meeting with people from all over the world guiding then to absolute freedom. Even though Chanan had awoken to perfect peace and was able to transmit that clarity with others, something deep within him called him to stop teaching publicly. He stayed true to that deep knowing, and he stepped out into the unknown. Moving across the country, he spent the next years living fully in the modern world. What refined this teaching was living it in Daily Life. Over the last 9 years, Chanan raised his daughter as a single parent, working a full time job. He married the love of his life - his wife, Barbara - and together they raise their 3 children. Throughout the years people sought Chanan out to privately help them Awaken & Live Awake as he was IN LIFE. Still trusting in the deep knowing, Access Points came forth into being as a system that allows people living a modern life to wake up and live an Awake Life of joy and clarity. Fortunately for you, you do not need to undergo the trials and tribulations that Chanan has undergone in order to benefit from the teaching of Access Points. It is time to end the search for FREEDOM & BE FOUND. 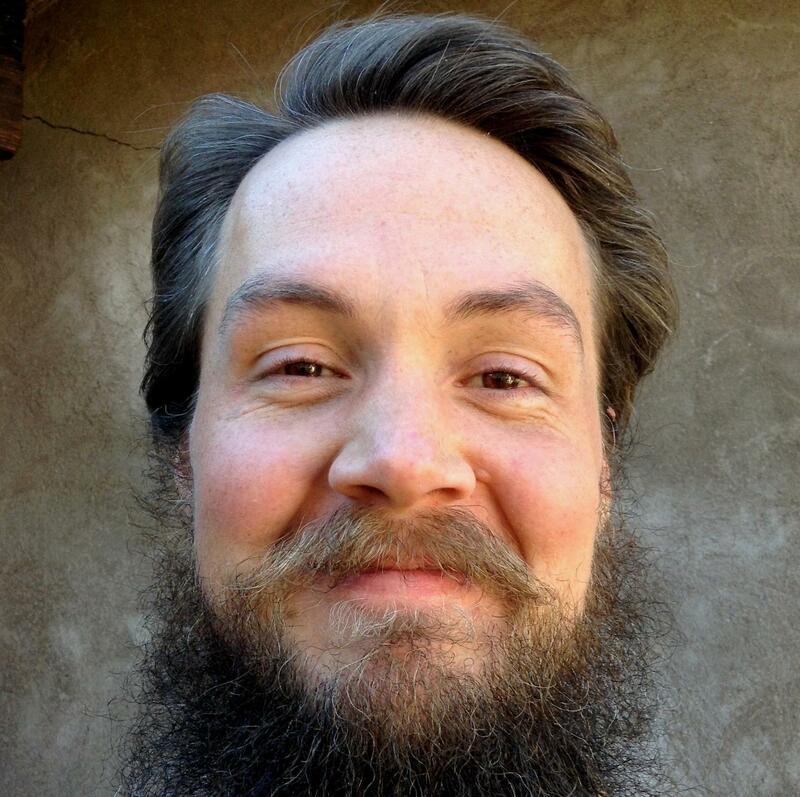 Chanan (Brian Marc Zimberg) had his first awakening experience in Joshua Tree desert in 1996. At the peak of his career, he turned away from the fame, money, and worldly success to pursue Enlightenment. In 2002, with the guidance of his living teacher, he fully stabilized in Awakening to his True-OneSelf. At his teacher's prompting, he began to teach others to Awaken to the Inner Peace and Oneness of true meditation. Though his teaching helped thousands of people - including guiding numerous people to fully Awaken - he followed living Clarity and stepped away from teaching in 2006. In the years that followed, he raised his daughter, got divorced, worked a job, remarried, and did all the things that happened WHILE FULLY AWAKE. Others around him noticed that something about how he was living was very attractive. They began to ask how he was living Awake in life. Even with the challenges of a modern life. By sharing with others how he lives a fully Awake Life, others began to wake up in their lives. This was the beginning of Access Points, a revolutionary system for Awakening to your True-OneSelf and living an Awake Life of total freedom. Joey Lott is the author of numerous bestselling books, including The Best Thing That Never Happened. He has been coaching people into discovering their true nature as One Self for six years. Prior to waking up and finally ending suffering, Joey suffered for many years with crippling OCD, anxiety, anorexia, and depression. Despite everything he had done trying to fix himself and feel better, over many decades, things grew worse instead of better. Eventually, he found himself at the brink of death. In that moment, remembering a glimpse into reality that he had many years prior, Joey chose to end suffering once and for all. From that point forward, Joey met every experience as himself - his true nature as One Self - rather than as the mind. Through this endless meeting, all experience is received as Self to Self in total Love. As a result, Joey's life turned around. 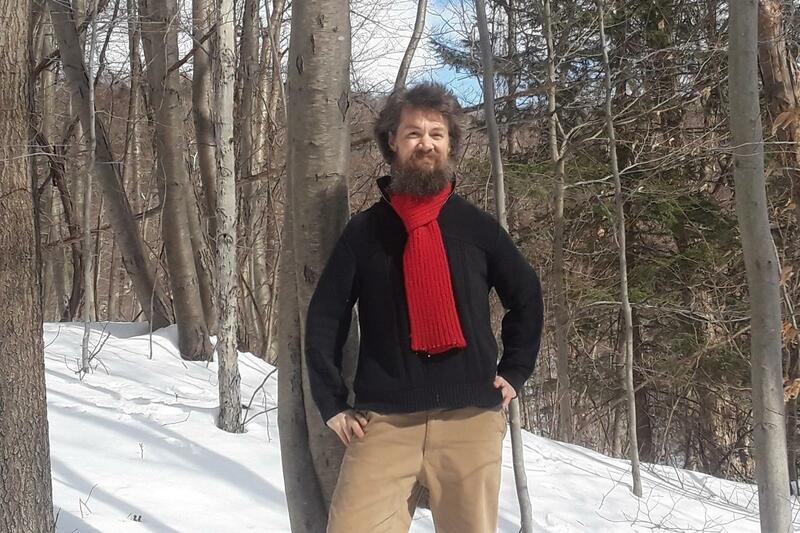 He now lives with his wife and children in Vermont, USA. He enjoys better health than ever before. And most of all, he lives fully Awake to his true nature as Wholeness, Joy, and Clarity. 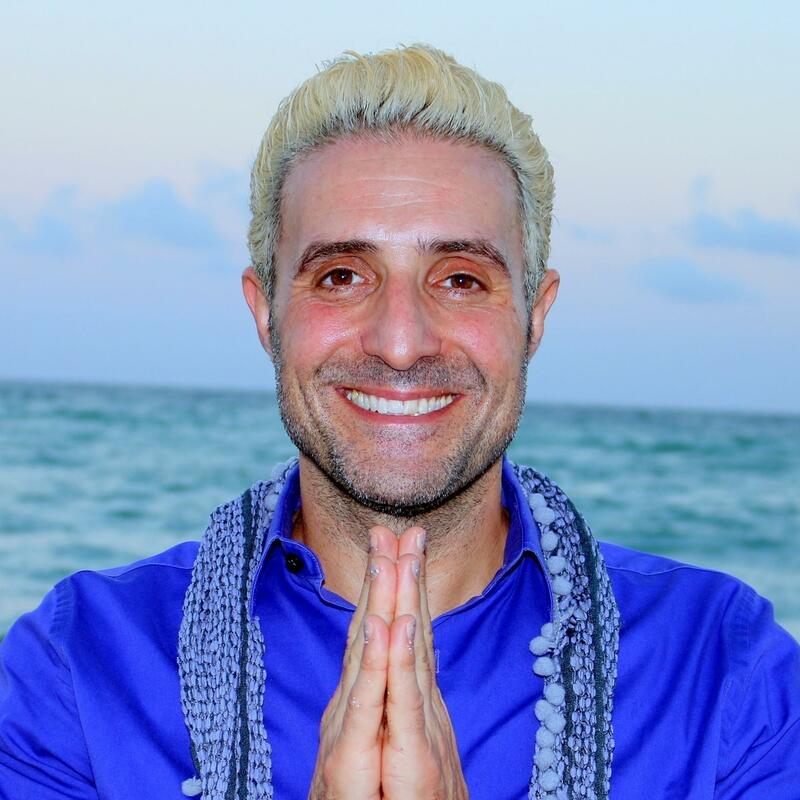 Joey has collaborated with Chanan for several years in the development of the Access Points program and their shared mission to help awaken humanity to our shared potential as true and lasting Peace, Unity, and Love. a silence, and an endless place of peace that is always there no matter what may be occurring around me. As I continue to shift my attention to this internal place throughout my daily life, I become more impactful in shaping a positive environment for myself and those around me. [He] has showed me to live from that place, my true-self. I am free because I am now a witness to my actions and experiences! He will really get you out of your mind and plugged into a realm of endless possibility! Meditation was really annoying and time consuming. Yet, I knew it was crucial for my well-being. I needed to find a solution, and this worked better than I could have ever imagined! I still find it amazing that it can be this simple. I can suffer in my mind and emotions, or I can be free as my True-OneSelf. It is a choice. I never could have believed it is this easy to stay in the moment, every moment. It is fresh and profound every time. always present, here and now. It is a whole new life. [Chanan]’s Access Points have a simplicity and beauty. They cut through so many ideas and misconceptions. I was able to connect to the space of love and freedom that I had only experienced a few times in all my “spiritual work”. This process works and really frees you from identification with the mind, revealing peace around every corner. Daily, I go deeper into the core of truth and love, and I know I am impacting the world as we move closer to this realization for all humanity. Get this course and just do it! the self-destructive thoughts and habits that have been haunting me for years. When the dark feelings creep in, I am able to be present and it transforms to serenity and joy. This is really moment-to-moment. It is not just a peak high, like so many things I’ve tried in my life that didn’t last. I really am not my thoughts or my emotions. If you want the peace that meditation promises and to be free of depression, I’ve never seen a technique as simple and effective as Stop Smile Breathe Be. Thank you so much for your help, [Chanan]. Keeping my attention on the sense that “I AM” feels so good. Thoughts don’t disturb me as before. I feel like I am free and expanding. Today, when I was in the city, I noticed how effortlessly it is to keep my attention on OneSelf by using the Access Points. It opened up a beautiful stillness. Before, I would get so caught up in thought activity. In the city, there is so much noise! People are running here and there with a lot of stress. It is beautiful to just BE, and to not be disturbed by all. It is only a little shift in attention from being aware of things, thoughts, and stories to being aware of Oneness. Thank you again! Access Points provides you with the easiest, fastest, most direct route to spiritual awakening ever developed. Unlike most meditations, which require sitting quietly for long periods of time, memorizing mantras, complex visualization, difficult breathwork, or listening to audio through headphones, Access Points require only minutes to do, nothing to memorize, you don’t have to do anything complex or difficult, and no equipment is necessary. You can do Access Points anywhere and anytime - while driving, while having a conversation, while walking, while at work, while eating. Access Points is incredibly easy to do. You’ll also experience the benefits immediately. Within just minutes of guidance from Chanan or Joey, many people are able to discover the peace of their True-Oneself for the first time in their lives. Not only that, but they are able to tap into that again and again once we show them how. Each of the five Access Points helps you to cultivate a different aspect of awareness of your True-OneSelf. And with our guidance, you’ll find that you are able to do this direct practice and benefit from each within just minutes. You’ll instantly be able to sense peace, freedom, joy, creativity, and passion the very first time you practice each of the Access Points. Each time you shift with Access Points, your experience will deepen and expand. And you’ll discover that this shift of Awakening to Oneness & Inner peace is now lasting. Nearly 20 years ago, when I first woke up to my True-OneSelf, my teacher, Gangaji, gave me her blessing to begin teaching others. In that time, I’ve helped thousands of people just like you to discover true and lasting inner peace. As amazing as that was, I knew something even greater needed to come through. So I followed Clarity and took a break from teaching to allow what was needing to be expressed to come to fruition. About seven years ago, I discovered this new, simpler system called Access Points. As I began to share this new system with people, I saw the miracle of Awakening taking place for everyone who learned it. In the past, most people might have lived their whole lives without catching a glimpse of the Stillness and Power of Oneness that is who we are. Now, with Access Points, people are waking up and living Awake in almost no time at all. Access Points changes everything. Nobody has to suffer through the old ways of Awakening (which were hit or miss and didn’t work for most people) any longer. With Access Points, we can guarantee your Awakening. I’ve developed an incredibly easy system that I guarantee will work for you. And I’m excited to share it with you. Gain confidence to be fully yourself - embrace all that is true in you and effortlessly let go of all that is false. I’m really excited to have you join us for this life-changing course. And I’m absolutely thrilled to be able to share this with you together with my friend and amazing Awakening teacher in his own right, Joey Lott. Together we are offering you an unprecedented opportunity. Never before has it been possible to meet with TWO Awakened teachers and receive their guidance daily with such a simple, direct, and effective process of Awakening. Imagine what it will be like when you know the unshakeable peace of your True-Oneself...at all times and in all situations. What will it be like when you can access wisdom and clarity in times of challenge? It will be a whole new way of life when even in the middle of difficult situations you will know and trust in self love, wholeness, and connection. You’ll find that your relationships thrive, you’ll easily take good care of yourself (and others without overextending yourself), you’ll have greater excitement about your life, and creativity and passion will naturally flow forth from you. You’ll notice greater flow in your life - what used to feel like struggle will become effortless and enjoyable. I suffered tremendously for many years of my life. From an early age, in fact, I suffered so severely from anxiety, anorexia, and OCD, that I had all but forgotten that happiness was even possible by the time I was in my twenties. I know what Awakening to Clarity and Inner Peace has done for me. It has allowed me to heal my body and heal my relationships. After so many years of terrible suffering, my body and my relationships were in shambles. That I am still alive, much less healed, is a miracle. Not only has it offered me healing of body and relationships...I now live total freedom. Every moment is living Gratitude. I never have to suffer. Not even for one second. No longer am I plagued by anxiety, OCD, or anorexia. All my struggles with boredom, isolation, anger, and fear are done. That doesn’t mean that I don’t live a full, rich life with all the complexities of what it is to be human. Far from it! My wife and I homeschool our three children. We live off grid in rural Vermont. I have the full spectrum of human experience - including love, fear, connection, anger, desire, hope, ambition, creativity, disappointment, and generosity. The difference now is that I know beyond doubt that I am free. I know who I am. I do not suffer. And as a result, my life is a lot happier, lighter, deeper, more fulfilling than ever before. I’ve been mentoring people in the process of self inquiry and Awakening to their boundless true nature for six years. And while the results people have gotten have been good...I’ve never seen anything like Access Points. I want to share this gift with you. Having seen people transform before my own eyes in mere weeks with Access Points, I know the same is possible for you. It doesn’t have to take years or lifetimes of suffering any longer. You can Awaken to Clarity and Inner Peace right away. When Chanan and I guide you in the process of Access Points, I guarantee that you will Awaken and know how to access Oneness and the deepest Stillness in any moment of your life. Within eight weeks or less, I give you my word that you will know how to access Clarity in all the ordinary and extraordinary moments of your modern life. I want this for you. Every area of your life will blossom. Your relationships will flourish. You will no longer struggle with feeling bad about yourself or feelings of shame or unworthiness. You’ll know how to access true confidence in every moment. Old habits that haven’t served you will start to fall away. You’ll feel more connected wherever you are. Stated simply: you can be done with suffering and begin truly living fully Awake. Chanan and I can help you. And with Access Points, it can be faster than you ever imagined. Previously, the only way to learn Access Points: The Modern Life Meditation Plan was in person with Chanan or Joey. Now. 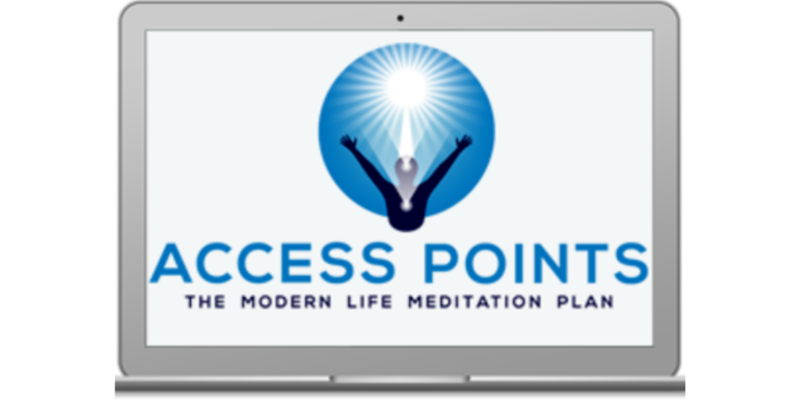 for the first time ever, we are making Access Points: The Modern Life Meditation Plan available online to the public. In this 8-week course, you’ll gain all of the benefits of the Access Points training, but from the convenience of your own home (or anywhere else you have internet access). What makes this course truly amazing is that you’ll get access to a revolutionary new meditation teaching from TWO awakened teachers. Moreover, we have developed a systematic teaching that makes it easy to learn. With their personal guidance, you’ll advance quickly in your awareness of connection with your True-OneSelf. And best of all, this awareness will be lasting. When you join Access Points today, you’ll be joining an amazing group of like-minded people on a life-changing, eight-week journey. Each week for 8 weeks you will join live for a new lesson. In this module, you’ll discover what suffering is and what Awakening truly is. You’ll learn about the power of attention and how your attention has been stuck in your mind, generating suffering. You’ll also discover that you can become aware of the main patterns of the mind and naturally begin to shift your attention out of the mind. Learn to see the the OS ( operating system of the Mind) that keeps us Identified in Separation so you can be free from thoughts & the Ego and stop the inner battle. Learn what is the “Me Story” & Discover the Lynch-Pin Pattern of the survival Machine - Avoiding the Unknown and to maintain the Special Me. See how the Mind Co-opts everything we have learned or done before, all our realizations or epiphanies and uses them against us. ACTIVATION in ACCESS POINTS: "SIMPLE B"
SURVIVAL PROGRAM: "AVOIDING THE UNKNOWN/SPECIAL ME"
One of the mind’s main programs that keep people stuck in identity with the EGO/MIND is “Create a problem/Solve it”. In Module 2, you’ll learn to clearly recognize this pattern of the mind having to maintain control by always "figuring it out" or making drama with fear doubt & shame. And by doing so, you’ll naturally shift out of your mind and start to recognize your true nature as already still, already at peace. Discover how we to break free of the temporary Band-aid spiritual experiences and mental abuse. It is time to truly end all seeking & really being Found. See how the mind is always trying to "figure it out" thus living in a lack & fear mentality. Seeing the mind always looking for problems & how when there is no external problem, it always flips to creating internal problems. Here shame & unworthiness are relieved. SURVIVAL PROGRAM: "CREATE A PROBLEM / SOLVE A PROBLEM"
In this module you’ll learn about one of the mind’s common patterns that keeps people stuck in their mind: labeling. When you discover how this pattern works and plays out in your life, you’ll already be shifting out of your mind. You’ll also be activated in Access Point BTT, which will allow you to inquire directly in your life this week to clearly see how you are the awareness of all thoughts, feelings and sensations. Without having to change anything about yourself or fix yourself, you will be waking up moment to moment. The miracle of resting in awareness & your limitless nature. Intentionally rooting attention before all thoughts begin. You will go beyond just having your mind BLOWN you will discover the art of DBUM-ING and how to live in mind blown forever. You’ll discover in the midst of the mental noise of narration, commentary, inner battle, & comparison the direct freedom from the MIND/EGO's hold of your attention. You see that through the mind’s program of dissecting it is that we come to believe (wrongly) that separation is real & the idea that you are separate. Out of this core mistake comes all suffering. By seeing the pattern of dissection as it happens, you are at choice to access freedom. You will gain great clarity of OneSelf this week as you directly experience your every-present freedom with the shocking choice to no longer Believe Your Mind at all. As we Access Oneness and open ourselves to the vastness of Being, we notice that all emotions and sensations that were not allowed here begin to reveal themselves as the process of integration begins. You will see how you don’t have to believe your mind’s ideas about emotions and how it’s possible to have a direct experience with emotions. In this, we discover the gift that every emotion and sensation that we have tried to avoid has to offer. Become aware of the bodymind’s resistance and indulgence that keeps us from direct experience of totality & stillness. In module 6 you will discover more deeply through direct inquiry to step out of the mind’s matrix of past references. You will break free of the perceptual field of 3D reality and open to receiving present moment living. Living in true Abundance from your life-source. In module 7 you will discover what it is to truly live from the intense power of the unknown. The mind rejects the unknown or fears the unknown, because you as you are is unknowable by the mind. In this module you will learn how to truly live from the fullness of yourself - the clarity, wholeness, and peace that you are - in all moments of your life. Mind says no, but clarity is always a Yes sayer. ACTIVATION ACCESS POINTS: "SIMPLE BEING EXPANDED"
In module 8 we celebrate as we move toward your graduation. In this week you will explore what it is to live an awake life - to be stabilized in Oneness, moving and living from the Stillness that is your True-OneSelf. At this point in the training, the inquiry of Access Points comes alive in you. No longer do you need to *do* Access Points...instead, you naturally live from your True-OneSelf, meeting every experience with clarity and peace. What is it to truly join in union with the great allowing? Suffering can only be found in the mind’s ideas of the me story. Claim for yourself that the choice is clear and you don’t have to believe the mind at all. Enjoying being even with discomfort, pain, fear, etc. Receive yourself being first, or suffer. That is the choice. True abundance is you as you truly are - no lack. Taking full responsibility for your awakening. Be a devotee of consciousness. Done running. Telling the truth that I am that which allows it all. Heartache is your divine connection now. You are already home. Pledge allegiance to Being first. Graduating from being a survival animal. The exploration of an awake life - not having to get to being or enter being, but to make the choice fully to tell the truth that you are always here, fully awake. What is living inquiry that is alive in you? Now, as valuable and powerful as Access Points is, we decided that we didn’t want to leave anything to chance. To that end, we’ve decided to include bonuses that guarantee your success. The first bonus we’re adding is one that our students LOVE. As we’ve trained people to Awaken through Access Points, we’ve found that what makes Access Points even more powerful is when every participant has DAILY access to two awakened teachers for any questions they may have. If you think about it, the old way of Awakening is to travel on retreat to sit with an Awakened teacher for a few days or a week at a time. Even during that time access to the teacher is often limited. After all, how many people get to ask a teacher like Eckhart Tolle their questions daily and get personal responses? We guarantee your success with Access Points. And to support your success, we are including what we call Access MasterSoul. It’s like a Mastermind in that it is a coming together as one. But rather than it being a meeting of the minds, it is a meeting at the SOUL level. You will be amazed at how powerful this is. With Access MasterSoul, you’ll have daily access to ask your questions of two Awakened teachers (Chanan and Joey). You won’t have to wait for the next retreat. You won’t have to hope that you’ll be called on. We use a group chat app that is accessible from your computer, phone, or tablet to make MasterSoul available to you no matter where you are. Whether you are on the train, at work, in bed, or sitting on the couch...you can ask any question via text, audio, or video (and get a response from an Chanan or Joey) any time during the 8 weeks. Next, we’ve chosen to also include 8 Live Meetings in Oneness. At the end of each week, as a bookend to your week of using Access Points in your daily life, you’ll be invited to join Chanan and Joey for a live group meeting. We conduct these meetings using video conferencing that is available from any device anywhere you have an internet connection. You’ll be able to join us for a LIVE meeting every week. These Meetings in Oneness are a powerful opportunity to rest in the field of Awakening. There is a coherence effect that occurs when we join together in this way. 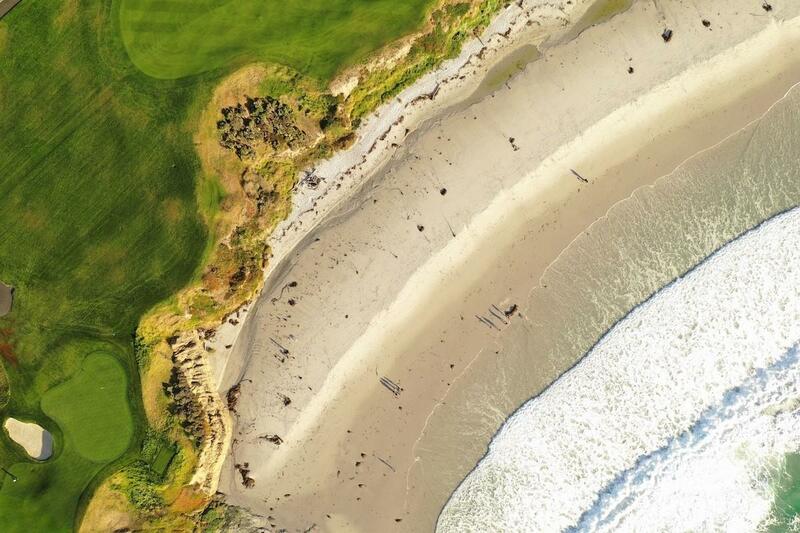 This is the space to explore & reflect on what you experienced during the last week using Access Points in life. Even if you never speak during a meeting...even if you cannot attend live, but need to watch a recording of a Meeting in Oneness...you will receive the transmission of Oneness, which enlivens and clarifies your own Awakening. If you are able to attend live, there will be an opportunity for you to ask questions, share your discoveries for the week, and get direct coaching. What participants find is that no matter who is asking or sharing, everyone benefits. Simply by tuning in, you will find that your own Awakening gets clearer, more effortless, and more enjoyable. On the other hand, if you ever cannot attend live, we are always happy to receive your questions and reports ahead of time and share those with the group during the meeting. And we record every meeting and make them available to you in your course library so you can watch or download and listen to them any time. You’re going to love Meetings in Oneness. Participants find them to be joyful, intimate, and inspiring. Next, we’re also including an invitation for you to join us for a very special live (virtual) event that we’re going to be hosting. It is a workshop we call Freedom with Emotions. After teaching Awakening for many years, we’ve seen that after our students learn how to shift out of their minds and rest in their True-OneSelf, this workshop is extremely powerful for helping them to stabilize in Awakening. We’ve all heard that it is important to feel our feelings. But most are confused about how to feel their feelings. The answer is much simpler than you may imagine. In this workshop you will discover for yourself how to feel your feelings in the most effortless way possible. When you know this secret, you cannot be swayed from your True-OneSelf. The Greatest Expression of you is a 4 Hour Live Online Seminar at the end of the 8 week Access Points Program. What is it to LIVE an Awake Life? Now in the audacity to be done living from the EGO/MIND -survival animal- we choose absolute TRUST in BEING and the UNKNOWN. In this you will discover what it is to live from your Soul instead of your mind. You will see how living in this Absolute Trust is a whole new way of life! When the Operating system of the mind no longer RUNS you, you come home to the most profound REALIZATION of the CREATIVE IMPULSE. This is living awake as a human being as a contribution. Your unique dna & talents naturally move into the world. This is living from the edge of conscious evolution. In this moment to moment “big bang” of life the body mind my not at first be comfortable with this - yet you will learn how to be comfortable with what is uncomfortable. We will explore the Willingness to Welcome Everything & abiding in this inclusiveness. Instead of seeking BALANCE we discovered who we are already is balanced so we can begin INTEGRATION of all that was pushed away. THIS IS where true miracles, sychnaticity & FLOW in abundance IGNITE! We find the clarity on what it is to live In-spirit (inspired) instead of spiritual. In this full welcoming of every aspect of you there is Integration & Alignment with the Divine connection. We freshly allow the greatest expression of who we are to move into life. We live receiving life. We live receiving creation. This is ascending in to the greatest expression of you! One-Self love that emanates from you to yourself. Your Unique DNA & your truest OneSelf-expression. the TOTAL FREEDOM of BEING YOURSELF on all levels. If you were to purchase all of those things together, your investment would be $11,485. If all this did was make all your relationships closer, more trusting, more loving, more joyful...would it be worth $11,485? And if all this did was give you ease in your own skin, confidence to be fully yourself in life...would it be worth $11,485? And if all this did was give you unshakeable Inner Peace at all times, no matter what is happening...would it be worth $11,485? I’m sure you can see that the answer is yes, yes, and yes. Everyone wants results like these. And hundreds of millions of people are paying $11,485 and much MORE seeking for results like these. The only problem is, they are paying for things that may get them some kinds of results...but not the results they really want or need. Whether that is therapy, yoga retreats, self-help workshops, life coaches, or any of the other things people spend their money on, they may help us to feel good temporarily or help us to get “ahead” in life...but they don’t help people to Awaken to Oneness permanently. People spend a lot of money on things that don’t work. Maybe, like the rest of us, you’ve spent money on some of those things. But the good news is, you don’t have to do that any longer. Because now you can finally invest in something that truly gives you the results you long for. As you can see, Access Points is easily worth $11,485 many times over. Now, our regular public price for Access Points is just $2997, which you’ll undoubtedly see is already a great value. However, for those who have attended our recent global event Awakening to Your True-OneSelf, we have a TIME-SENSITIVE offer for you. your investment is only $1997. One of the things that really sets Access Points apart from most other courses is that it is created by and taught by two awakened teachers. When you join Access Points, you receive personal guidance from two mentors who live Awake lives. That personal guidance is what guarantees your success. When you join Access Points today, you are ensuring that you too will live an awake life - one free of the suffering of your mind. Instead, you’ll know a deep and lasting connection to peace, happiness, and gratitude. By this point in your life, you’ve amassed a lot of information. You’ve read books. Maybe you’ve tried therapy or attended talks by spiritual or personal growth teachers. You know the answers in theory. And perhaps you’ve had momentary epiphanies. But in practice, in your daily life, it hasn’t led to lasting transformation. Why? Simple: information alone can’t do for you what you need and want. Only the personal guidance of an awakened teacher can offer you that. Which makes Access Points a rare and precious opportunity. Don’t make the mistake of thinking that the next book or piece of information will give you want you want and need. Instead, make a wise investment in yourself. Join Access Points today and begin to receive something more than mere information. Receive the living transmission of awakened teachers & a proven Process. In the Great Allowing workshop you will have the opportunity to finally gain clarity about what the real source of suffering is. Without clarity about what suffering is and the choice involved, most people continue to suffer for their whole lives. When you have clarity about the true source of suffering and what it is to finally be free of suffering, you will know that there is a choice. The Great Allowing is another in our series of preparatory workshops that we find help people to maximize the benefits of Access Points. We know that Access Points is the most powerful, most revolutionary opportunity in spiritual awakening available anywhere in the world. And we know you’ll agree. When you join the course today, you can have the confidence that it is completely risk free. That’s because we offer a 14 day, 100% money back guarantee. Sign up today. Join us for the training, and if for any reason you decide it’s not the right time or the right training for you, we’ll refund every penny of your purchase promptly. This is a once-in-a-lifetime offer. Not everybody will recognize the tremendous value of this offer. Since you do - since there is something in you that is saying “yes”, that means that deep down you know that this really is what you’ve been longing for - unshakeable freedom and peace. Join us today! The special introductory price won’t last long. And remember that because of the personal attention you’ll receive in this course, there are limited spots available. Act now to secure your spot and to get in at this introductory price. If all you received today was something that you could use to transform the biggest challenge in your life, what would that be worth to you? Whether that biggest thing is your marriage, your sense of self-worth, your career, your temper, feeling stuck in life, or anything else...transforming that one thing is priceless. When you join Access Points today, you’ll receive that. But you’ll also receive so much more. Not only will you gain something that allows you to transform the most important thing in your life...you’ll also receive personal guidance from a two Awakened teachers so that you can transform every single aspect of your life. Your relationships will be richer and stronger. You’ll experience greater fulfilment in your career. You will discover that you can transform resentment into forgiveness. You’ll find that anxiety becomes joy. Your relationship with money will become healthier. You’ll have confidence that you can let go of worry and overthinking. And you’ll discover self-love that changes everything about your relationship with yourself. By the time you go through all this, you cannot help but experience lasting change in your life. You will live an Awake life.